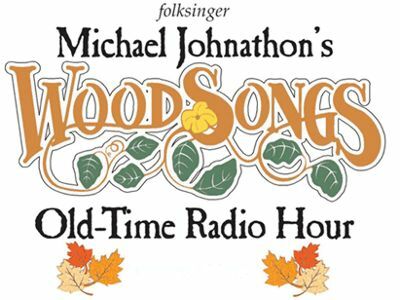 Lexington, KY -- In what is described by all parties involved as a “win – win –win” the worldwide broadcast of the WoodSongs Old-Time Radio Hour will move from its current home of the Kentucky Theatre to the brand new facilities of the historic Lyric Theatre & Cultural Center, just a few blocks away. Just a few blocks away waits the Lyric Theatre, normally closed and dark on a Monday night. "Our partnership with Woodsongs comes at an exciting time," says Yetta Young, Executive Director of the Lyric Theatre. "Not only will the ‘family and community friendly’ broadcast be a unique opportunity for the Lyric - located in the heart of Lexington - but this partnership will also introduce a new audience, as well as a new group of artists, to our historic, state-of-the-art venue. Aristotle says that 'friendship is essentially a partnership' and the Lyric Staff and Board are looking forward to creating a long-lasting friendship with Team Woodsongs." Television has been a big part of WoodSongs worldwide audience. This summer, the all-volunteer TV crew for the show won the 2012 Telly Award for TV Broadcasting. WoodSongs’ move to the Lyric is considered by all involved as a positive contribution to the huge musical history of the venue. Built in the 1940s the Lyric was the only stage in the region presenting concerts by Ray Charles, Count Basie, BB King, Cab Calloway and many others. "Woodsongs will contribute to the continued renaissance of downtown Lexington's East End." says Ed Lane, 12th District Council Member. “The program will be yet another cultural option at the historic Lyric Theater. The Kentucky Theater has been home for WoodSongs since 2003 and has recently launched a major fund raising campaign to install much need improvements and upgrades. The all-volunteer run broadcast operates on a delicately crafted business model that depends on community involvement. The show is supported by the Lexington Convention & Visitors Bureau, the Bluegrass Hospitality Association and area hotels, Insight Communications and KET, local restaurants that donate dinners for the artists the day of the broadcast, Highbridge Spring Water, QX.net, and American Recordable Media. In exchange for that support, WoodSongs sings the praises of Lexington and the Commonwealth worldwide. Literally. WoodSongs kicks off at the Lyric Theatre on Monday, January 7 with multi-award winning musician Victor Wooten (of Bela Fleck and the Fleckstones.) Fans of the show can expect artists like Big Bad Voodoo Daddy, Crystal Gayle, Mike Scott and the Waterboys and many others to grace the stage of the Lyric in 2013, including the celebration of WoodSongs 700th broadcast. The audience needs to be seated by 6:45 and there is plenty of free parking alongside the Lyric Theater. The shows reservation hotline remains 859-252-8888. The Troubadour Concert Series, also created and produced by Johnathon, celebrates 20 years at the Kentucky Theatre on January 31 with a concert by Grammy winner Shawn Colvin. Since Troubadour events are booked on a concert-by-concert basis, plans are to continue programs at the Kentucky Theatre until remodeling actually begins.